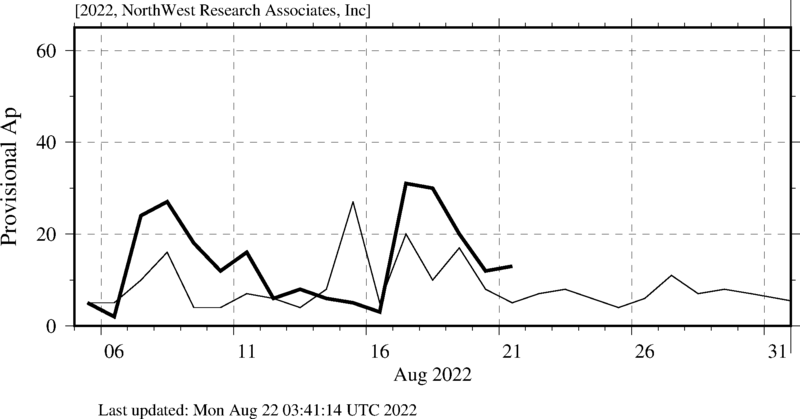 Ap - Daily global index of geomagnetic activity (preliminary). 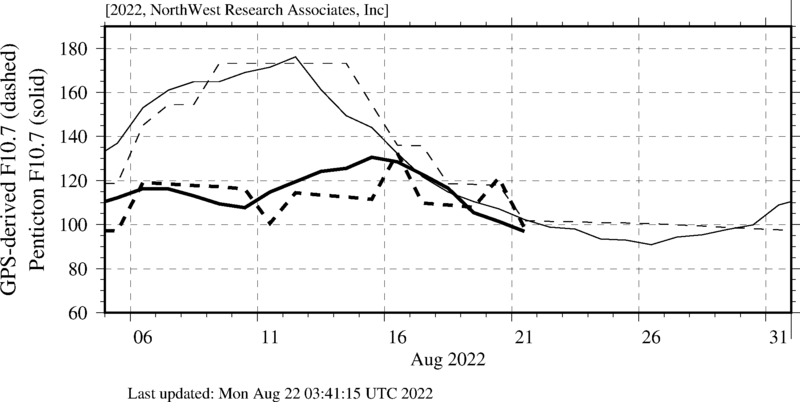 Kp - 3-hour global index of geomagnetic activity (preliminary). 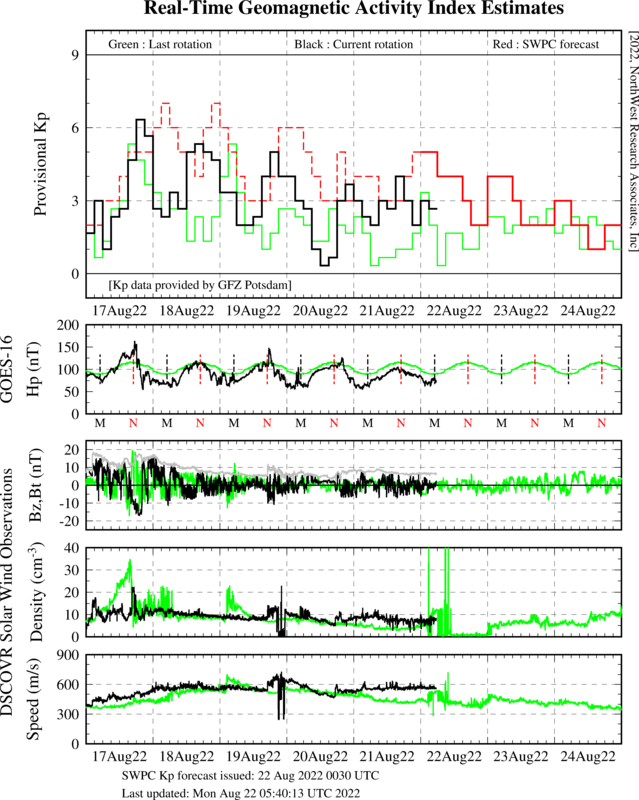 Qe - Effective Q index (auroral activity index). 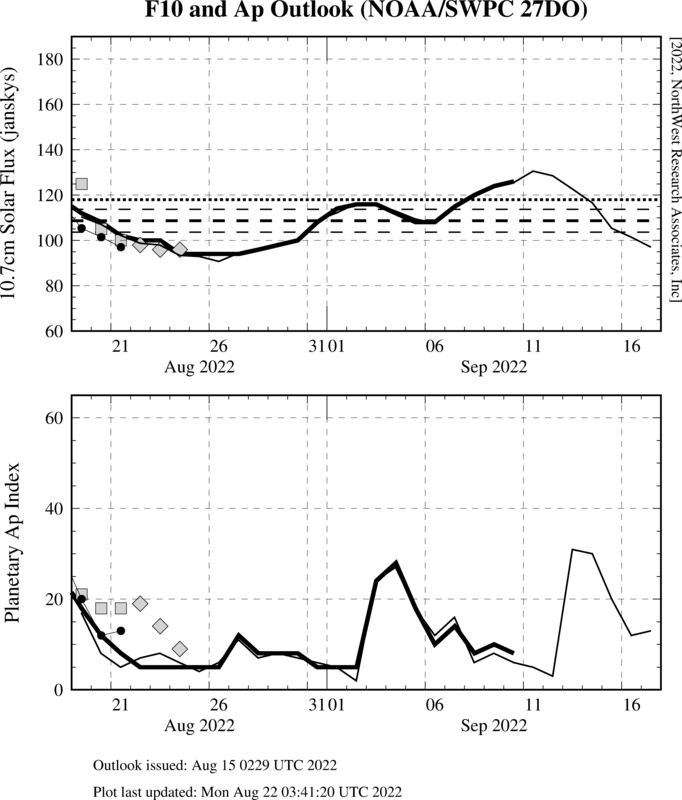 Additional information defining the various indices are included with the expanded plots that are obtained by clicking on the "button" versions of the plots on this page. References for the various indices are listed at the end of each page of expanded plots. Tabular listing of selected indices. 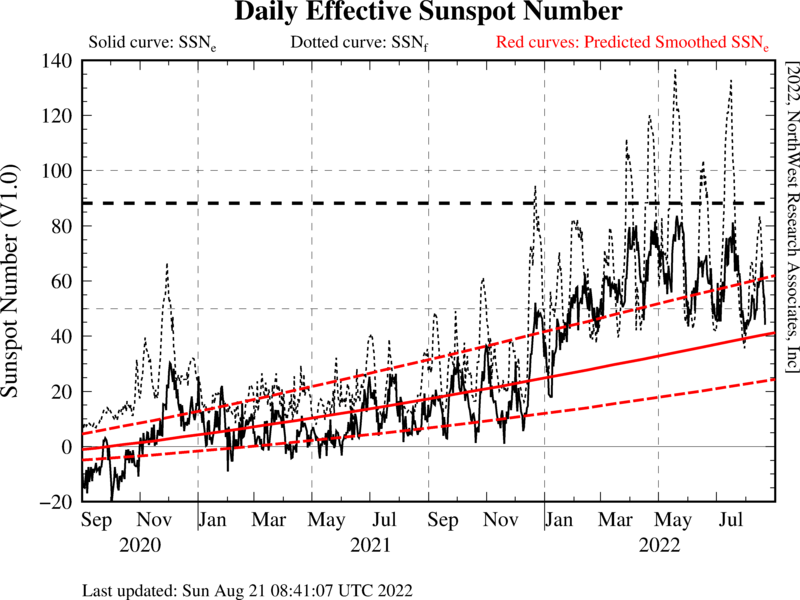 Cycles 23 and 24 Effective Sunspot Number plot. GPS IONO coefficients from the NOAA NGS CORS site. SWS T index from the Austrailian Space Weather Services (SWS). Provisional Kp and Ap from the GeoForchungsZentrum Helmholtz Centre Potsdam. 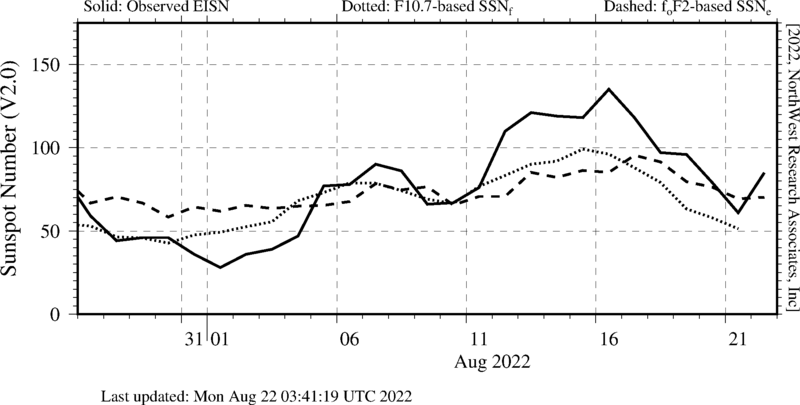 If you would like to get a feel for how effective these effective-SSN indices are, foF2 plots comparing the observations with model foF2 values calculated using the NWRA SSNE and SWS T values are available. 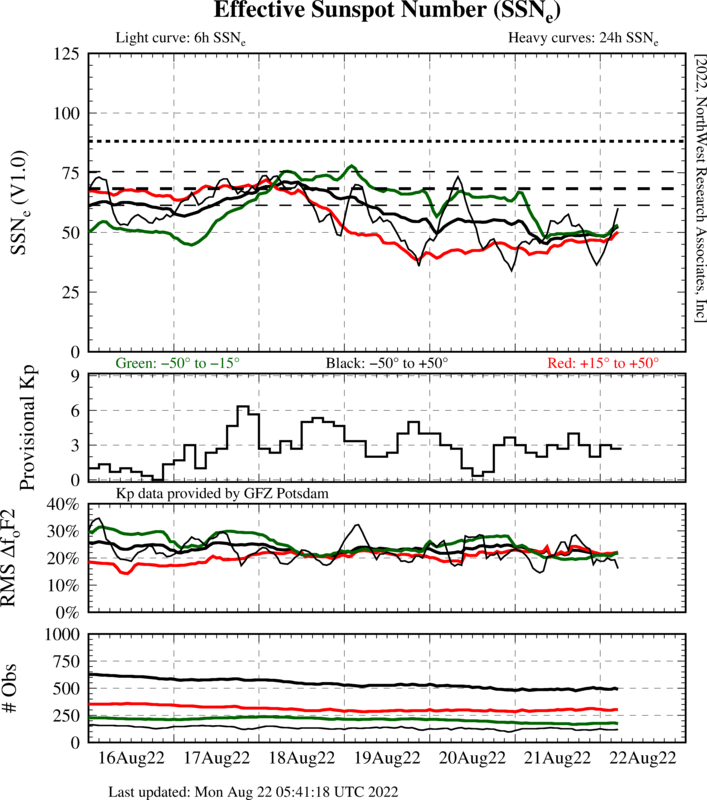 There is a one-day delay between the latest SSNe values available and these plots to permit more data to arrive at the NOAA SWPC for comparison. 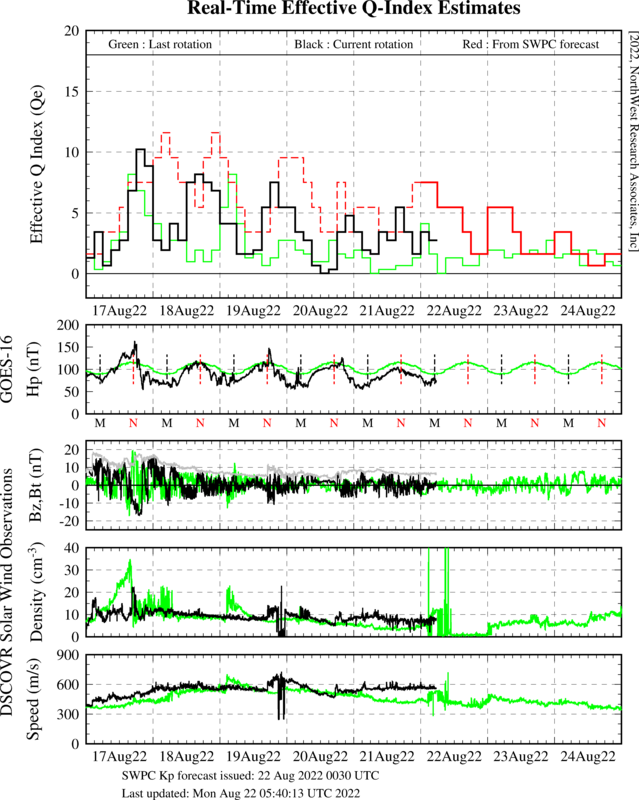 If you are interested in further information regarding ionospheric radio propagation, the Radio Society of Great Britain Propagation Studies Committee has a large collection of links to things propagational.